I think by now everyone have know regarding the shocking news about Koki right? Have you all calm down? It was such a blow I'm pretty sure some of you are really hit hard by the news. I know I am, but gradually I'm starting to accept everything. We can't changed what had happened. 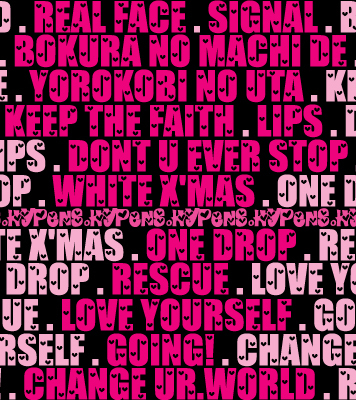 Demo, as hyphen we must not forget that we still need to support KAT-TUN, Koki and Jin no matter what. After all, that's the only thing that we can do. Therefore, one hyphen come up with this project to support them. This one night is dedicated specially for our beloved. So everyone make sure that you don't sleep on that night since it'll be after midnight. Also take note that 2 Nov is Saturday, that means not Saturday night, more like Saturday morning since 12 a.m (that means Friday night). So don't be confused by that. Don't forget to RSVP if you're going or not. 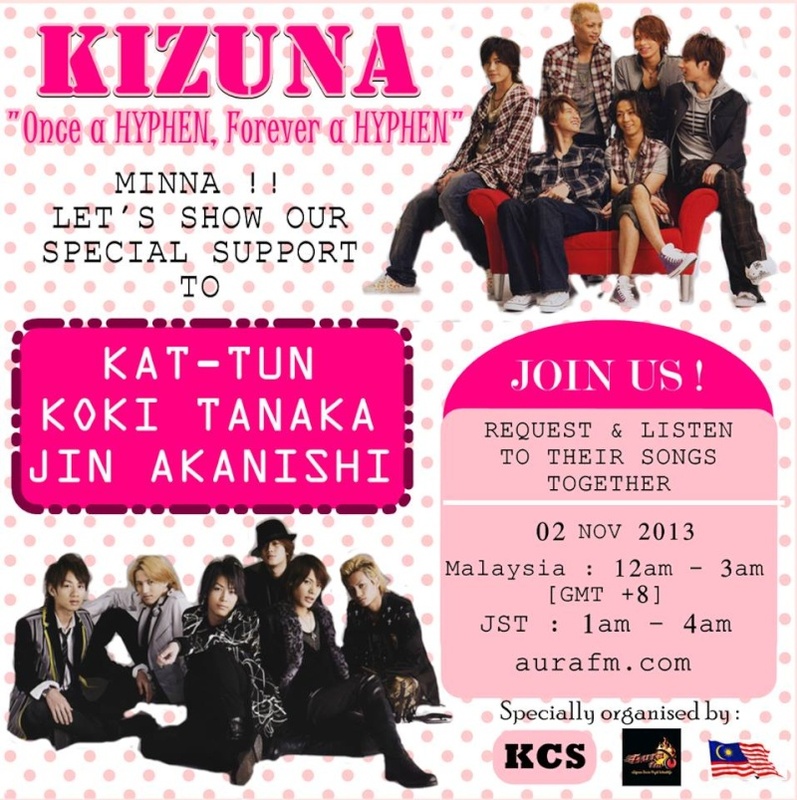 Hyphen-tachi, we really need your support. Let's be strong for KAT-TUN & Koki.Anyway, please buy Kusabi when it comes out too. This is the crucial time that we need to show them that they will always have us to support them.